In the landscape of international investment arbitration the allegations of corruption have become more and more common. Confronted with investor’s claims before an arbitral tribunal, host states employ all possible legal arguments available to avoid potential liability and the subsequent payment of compensation. Investor’s corrupt acts have emerged as a potentially viable state defense in international arbitration. Many cases brought corruption-related issues to the forefront of international arbitration, but only World Duty Free v. Republic of Kenya and Metal-Tech Ltd v. the Republic of Uzbekistan resulted in the ICSID tribunals accepting the corruption defense invoked by the host states and the allegations of corruption as proven. No matter how outrageous the host states’ conduct toward the investors were in the above mentioned cases, the fact of the investors’ involvement in corruption to procure and win government contracts deprived the investors of the favorable award and appropriate protection of their rights, and the host states were able to evade any potential liability for investment violations and in fact profit from their violation of international investment law. Although no formal concept of precedent exists in international investment arbitration, future ICSID tribunals might consider World Duty Free and Metal-Tech as concrete guidance in forming their conclusions and denying the recovery to corrupt investors. In MOL v. Republic of Croatia, the investor, MOL Hungarian Oil and Gas Plc (MOL), initiated an ICSID arbitration against Croatia pursuant to the Energy Charter Treaty (ECT) claiming that the host state breached its obligations in connection with MOL’s investments in Industrija Nafte dd (INA). In 2003 the Croatian government and parliament decided to privatize INA, Croatia’s most significant enterprise in the field of oil and gas, and MOL acquired a 25% stake + 1 share in the company, while the Croatian government remained the major shareholder. 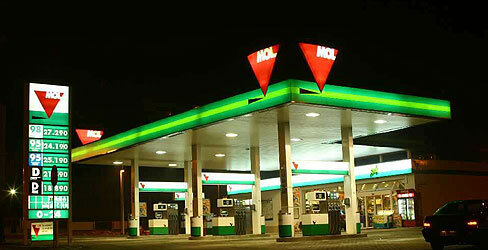 As a part of the arrangement, MOL and the Croatian government entered into a Shareholders’ Agreement dated 17 July 2003. Between 2003 and 2007, the Croatian government continued the process of privatizing INA through reducing its own shareholding, which led in turn, in early 2008, to the negotiation of a modification of the Shareholders’ Agreement, as the basis for MOL to increase its stake in INA to 49.08%. The negotiations culminated in two agreements concluded on 30 January 2009 (the 2009 Shareholders’ Agreements). As a result, MOL became INA’s biggest shareholder with just under 50 percent stake in INA and got management control of the company. The circumstances in which the negotiations and conclusion of the 2009 Shareholders’ Agreements occurred lie at the heart of the ICSID arbitration. The Croatian government relies on corruption as a defense strategy, and argues that the 2009 Shareholders’ Agreements were procured through bribery of Croatia’s then Prime Minister Ivo Sanader by MOL’s CEO and Chairman Zsolt Hernádi. The host state emphasizes the fact that in November 2012 Mr. Sanader was convicted and sentenced to an eight-year prison term before the Croatian court for taking the bribe in the amount of 5 million euros from the investor in exchange for facilitating the 2009 Shareholders’ Agreements. However, in July 2015, Croatia’s Constitutional Court annulled the corruption conviction against Mr. Sanader citing procedural errors, and ordered the retrial. In September 2015, the Croatian court started a retrial of former Prime Minister Sanader on a case of a bribe allegedly taken from MOL to allow it to acquire a dominant stake in INA. In addition, the Croatian authorities raised an indictment against Mr. Hernádi for paying bribes in exchange for MOL getting a large stake in INA, but Mr. Hernádi is evading prosecution. The host state alleges that corruption that underlies the 2009 Shareholders’ Agreements forms a jurisdictional objection based on inter alia lack of consent, lack of “investment” and a violation of public policy. In the host state’s view, the investor never made a valid investment and it argues that the tribunal lacks jurisdiction to hear the case. On the other hand, the investor denies any wrongdoing, saying that neither MOL nor Mr. Hernádi has been convicted of any crime in relation to the 2009 Shareholder’s Agreements, and that the criminal charges against Mr. Hernádi are being pursued in an effort by the host state to take control of INA. Further, the investor indicates that the factual determinations made in Croatian criminal proceedings are not dispositive for the ICSID tribunal. Adjudicating international investment disputes where it is alleged that the government contract has been obtained by bribery and where the facts and circumstances suggest that bribery has tainted the contract underlying the dispute frequently present difficult issues for arbitrators. Generally, it is very difficult to prove bribery as there is usually little or no physical evidence. In MOL v. Republic of Croatia the ICSID tribunal will need to determine how to approach this particular situation because the investor vigorously disputes the allegations of bribery while the facts and circumstances of this case suggest the 2009 Shareholder’s Agreements may have been contaminated by bribery. The tribunal has to decide who has the burden of proof and whether such burden of proof might be discharged in an easier way by evidence of sufficient “red flags” established by the international community as indicators of corruption. The tribunal may be ready to use presumptions rather than full-fledged and hard to obtain evidence. In any case, bribery must be sufficiently proven to convince the tribunal that it lacks jurisdiction over the MOL claim. So far, ICSID tribunals have not dismissed any ECT claim due to the allegations of investor’s bribery, although the tribunal in Plama Consortium Limited v. Bulgaria held that there was an implied requirement of “clean hands” in order to bring a claim under the ECT. However, the Plama tribunal did not refer to the “clean hands” doctrine in explicit terms. The tribunal relied on the general principle incorporated in international law that tribunals will not assist investors who have engaged in illegal activities. Thus, in MOL v. Republic of Croatia the tribunal will certainly discuss whether MOL can recover under the ECT because of the alleged illegality of its investment. By invoking the corruption defense, the Croatian government hopes that the ICSID tribunal will dismiss the investor’s claim, and impose no financial liability on Croatia. Thus, the tribunal has to address the issue whether the investor is entitled to the substantive protection offered by the ECT and the evidence of bribery generated from the criminal investigation in Croatia might be crucial for the tribunal when it will decide the outcome of this arbitration. The tribunal may hold that the protection under the ECT does not cover investments that are contrary to domestic or international law, notwithstanding that the ECT does not expressly provide that investments must be made in conformity with particular law. In addition, the tribunal should take into consideration that the ECT must be interpreted in accordance with the Vienna Convention on the Law of Treaties and that the introductory note to the ECT provides that the ECT purpose is “to strengthen the rule of law on energy issues.” As a result, the tribunal may conclude that the substantive protection of the ECT cannot apply to investments that are made contrary to law. The tribunal may find that the investment in this case violated not only Croatian laws, but also applicable rules of international law, pursuant Article 26(6) of the ECT, which provides that disputes need to be decided in accordance with “applicable rules and principles of international law.” Thus, the tribunal may find that granting the ECT’s protection to the MOL’s investment would be contrary to the basic notion of international public policy and accept the host state’s corruption defense that MOL cannot recover under the ECT because the 2009 Shareholders’ Agreements were procured through bribery. Ideally, findings of corruption should not come down heavily only on MOL, and the tribunal should weigh the illegal actions of the state and investor and not accept absolutely and unconditionally the corruption defense of the host state. In any case, the tribunal should not allow the host state to profit from its own violation of international law.